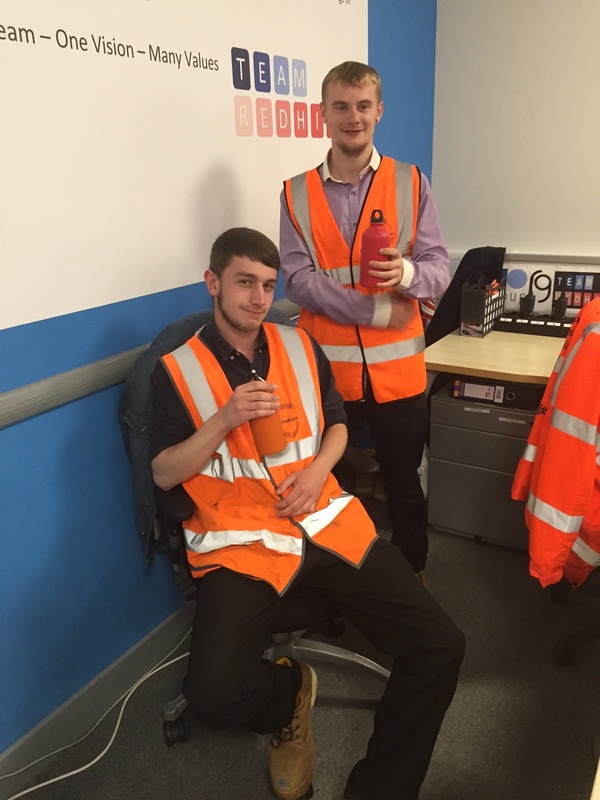 At the beginning of May, the RG Group site at Redhill decided to join the National Hydration Week campaign. Staying hydrated is widely recognised as improving vital physical coordination and lifting mental awareness and response levels. Given that it is important to stay both mentally alert and physically active on site, RG Group handed out over 90 free 500ml metal water bottles to the subcontractors on site to use over the coming warmer months. We realised that there’s not much point in handing out water bottles unless you have something to put in them. So in two places across the site chilled water points were installed to allow bottles to be replenished at break times ready for the next shift. Now we have a team on the Redhill site that are well-hydrated, and we hope to see increased productivity and output from a refreshed workforce. Added to this we have urine self-assessment colour chart posters in the cloakrooms to help people judge for themselves if they are hydrated to the correct levels. This initiative has been well received on site and we will continue to feature hydration while at work during the summer months.